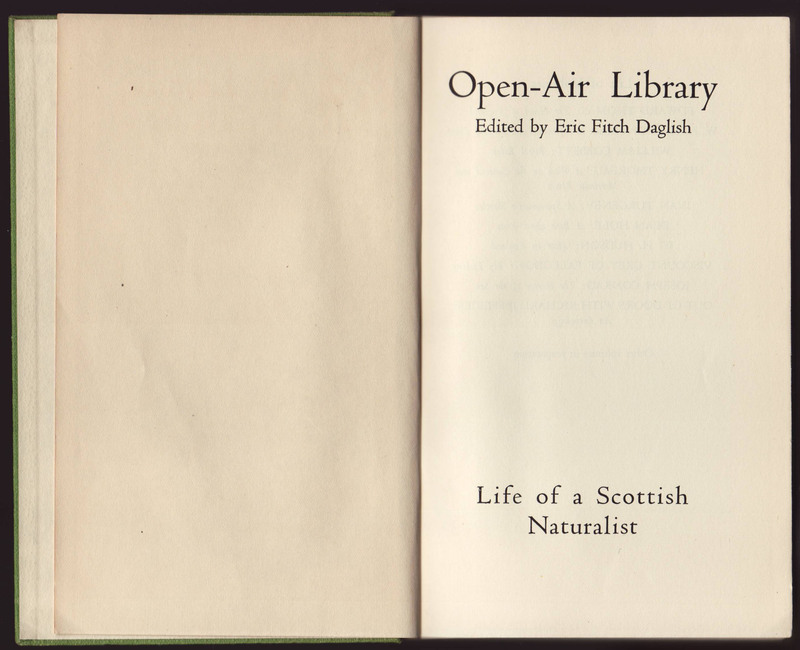 Dent’s Open-Air Library was published from 1932-1947 and consisted of reprints of environmental classics. A similarly named series, the Open-Air Nature Books, was published from 1909-1951 and consisted of titles (some new and some reprint titles) aimed at a young-adult audience. 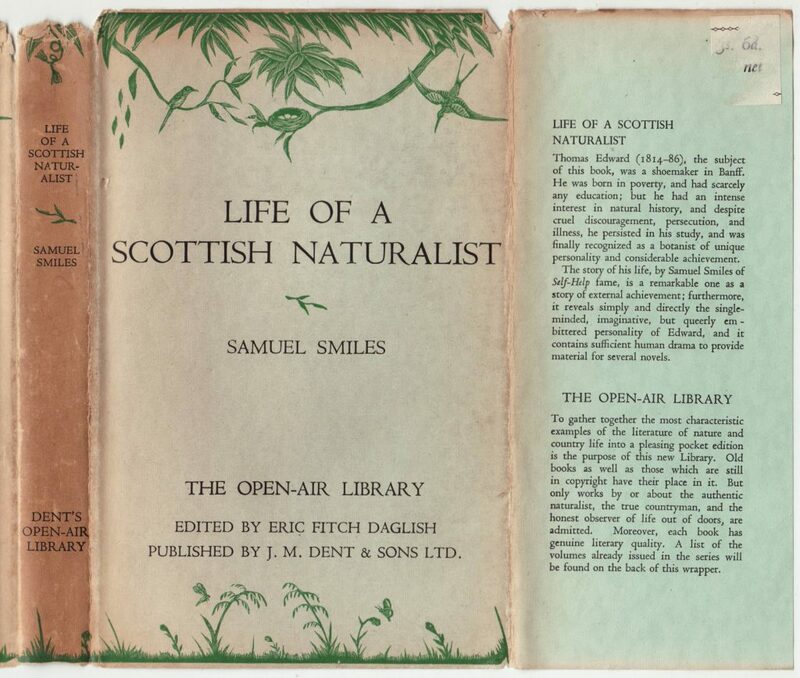 Samuel Smiles’ Life of a Scottish Naturalist was published in the series in 1936, initially published in 1876. 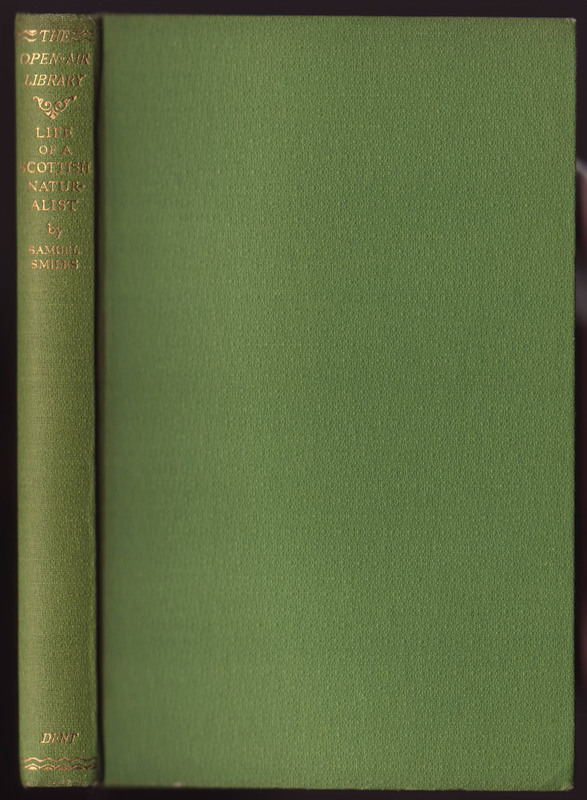 Jackets in the series seem to be the same throughout its years of publication, common to the series and consisting of some bird and plant decorations (in green) with an overprinted title, author, and series information. The series name is included on the jacket spine and front. 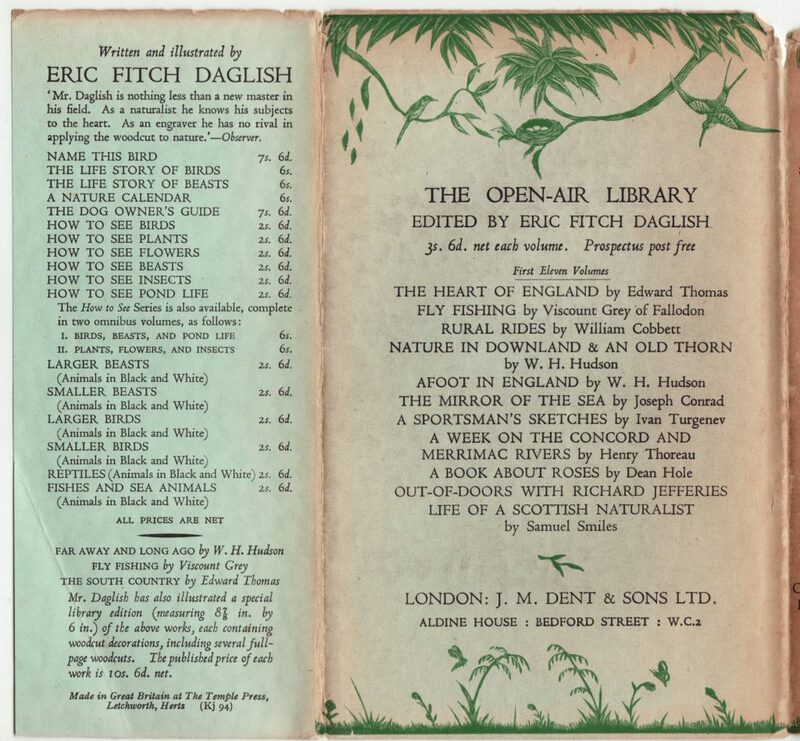 The series editor (Erick Fitch Daglish) is also included on the jacket front. A summary of the book is found on the front flap, along with a general series description. The rear of the book includes eleven titles in the series, priced at 3s/6d each. Additional books by Daglish are advertised on the rear jacket flap. Bindings, in green, are a textured material with gold stamping. The series name is included on the book spine. 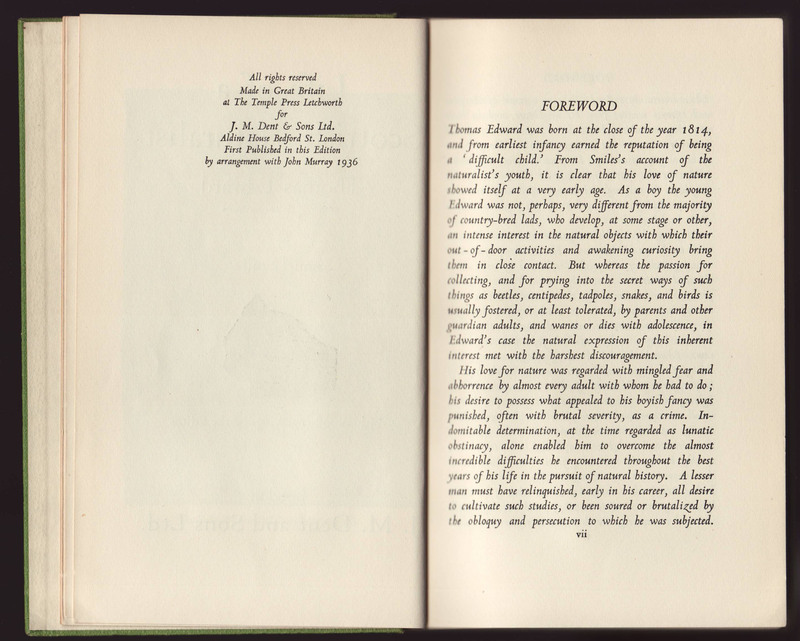 The series name, in a large type size, along with the editor and title are included on the half-title page. 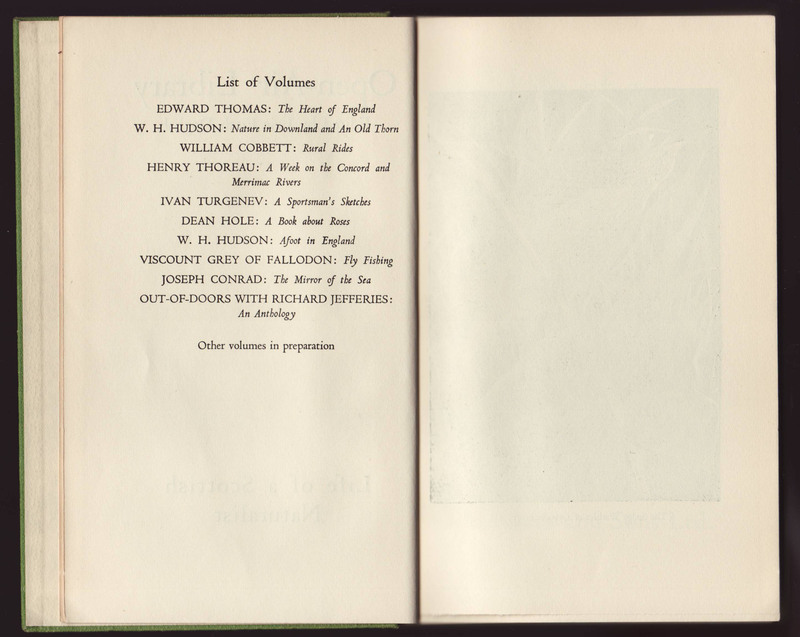 Ten titles are included in a list for the series on the back of the half-title page. 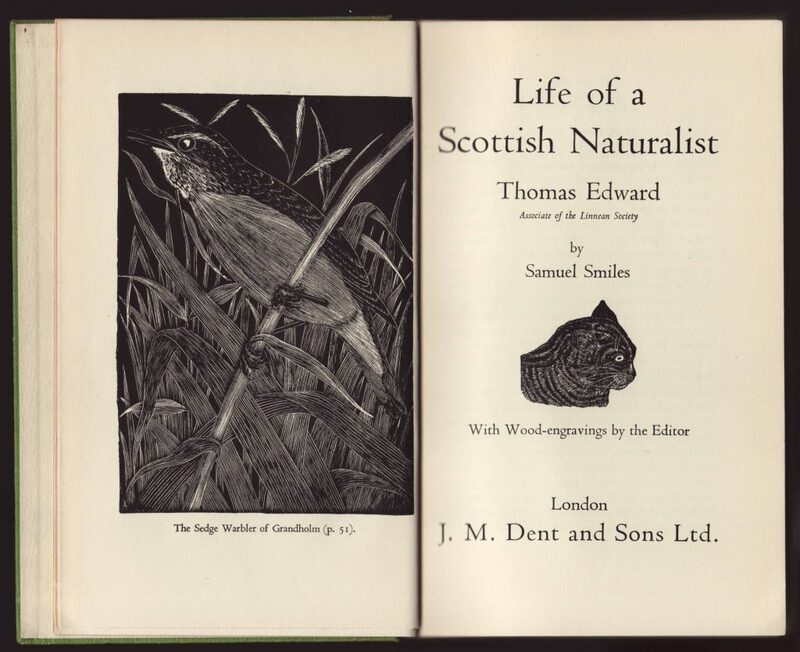 An illustration, the only one in the book, faces the title page. The copyright page indicates first publication in 1936, relatively late in the series span of publication.